Fo Guang Shan Temple is the best known Buddhist center in southern Taiwan and is the largest Buddhist monastery in Taiwan. The design of the Buddha Memorial Center is inspired by both an Indian stupa and the Mahabodhi Temple inside the Bodhgaya religious site in India. Above it sits the world’s tallest bronze sitting Buddha statue. In front of the statue is the Way to Buddhahood path flanked by Eight Pagodas on either side, making it perhaps the most magnificent Buddhist landmark in southern Taiwan. The Buddha Memorial Center has in its possession a relic which is said to be Buddha’s tooth —one of only three in the entire world—as well as many Buddhist artifacts donated by various countries. The art gallery displays an array of historical and cultural treasures, including poety, calligraphy, religious instruments, and antiques. It is one of the biggest Buddhist art treasuries in the world. In 1927, Master Hsing Yun (1927 – ) established a Temple called Shoushan in Kaohsiung City. However, due to the continuous growth of religious followers, it soon was too small for purpose. 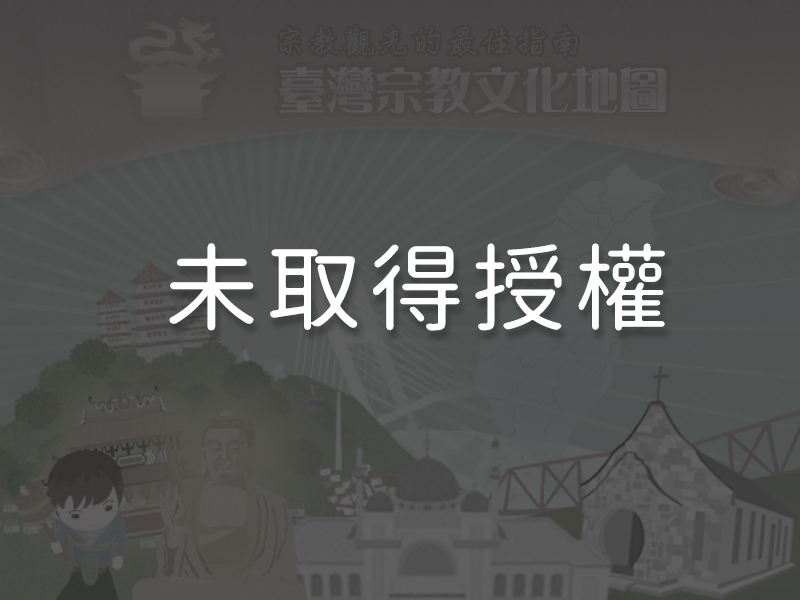 To accommodate more believers, the building that served as Kaohsiung Buddhist Cultural Service Centrerwas sold in 1967 and the money used to purchase approximately 194 hectares of land in Dashu District, upon which was built a new temple—Fo Guang Shan. The new temple included a Buddhist college, a main hall, a child-care center, a clinic, and other services. In 1997, Fo Guang Shan Temple closed its doors to the general public to provide the monastics a more secluded place for meditation and other Buddhist practices. The temple reopened three years later. In 1998, Master Hsing Yun traveled to Bodhgaya in India for the International Triple Platform Full Ordination (a religious event for Buddhist monastics). During his visit, a Tibetan Buddhist leader, Gongkar Dorje Dhenpa Rinpoche, gave Master Hsing Yun the Buddha’s tooth relic to be kept in the temple in Taiwan. It was this gift that prompted the construction of the Buddha Memorial Center, which was completed in 2011. The final design included eight pagodas at the front, a large Buddha statue in the back, withmountains in the south, and a park to the north providing an excellent background. The Buddha statue behind the museum is the world’s tallest bronze Buddha statue, which immediately became a famous landmark in southern Taiwan. The layout of Fo Guang Shan Temple is in the shape of a lotus petal. The temple is built on five small mountain peaks, following the design of the monasteries built on the Four Sacred Mountains of Buddhism in China- Wutai Emei, Jiuhua and Putuo ). 2. The Second Peak: Open for believers to worship Buddha; Avalokitesvara Pond, Non-duality Gate, Pure Land Cave, Pilgrims Lodge, and the Main Shrine. The Buddha Memorial Center is about one hundred hectares in size and took nine years to complete. Apart from the main building, the site also includes eight pagodas to the front, a large Buddha statue in the back, the mountains in the south, and a park in the north. Starting from the main entrance, visitors will first see Reverence Hall the Eight Pagodas, Grand Photo Terrace, Bodhi Wisdom Concourse, the museum’s Main Hall, and finally the Fo Guang Big Buddha. Outside the front hall are two groups of statues. On the right are a group of white elephants because Buddha is believed to have rode an elephant into the womb. On the left side are lions, which symbolize Buddha’s majesty. Behind the front hall is a pathway that leads to Bodhi Wisdom Concourse, which is approximately one hundred meters wide. On either side of the concourse are relief carvings of monks performing good works and a portrait of Master Hsing Yun. The concourse is also surrounded by statues of the Eighteen Arhats. The main hall of Fo Guang Shan Temple was built in 1975. In the main shrine sit three buddhas—the Sakyamuni Buddha, the Bhaisajaguru Buddha of Medicine, and the Amitabha Buddha. The hall is also surrounded by 14,800 statues of the Sakyamuni Buddha. Next to the main shrine are two Light Jewel Pagodas, each nine meters in height, that symbolize the light of Buddha emcompassing all the people. Part of the foundation of the main hall was built using stones taken from the Diamond Throne in India where the Buddha himself taught the Dharma and received enlightment. This type of stone, made by an ancient Indian king using mud from the Ganges River and grain powder, is considered to be a scared material in Buddhism. The usage of this stone here symbolizes a continuation of Buddha’s teaching of Dharma. Above the main entrance is hung a plaque with the words “Jeweled Shrine of the Great Hero” (dàxióngbǎodiàn). It was written by Zhang Daqian (1899 – 1983), a famous calligrapher. The beautiful square tile-and-concerete road leading up to the main hall is named Way to Buddhahood, and wasbuilt to accomdate over 10,000 people. The Great Buddha Land was built in 1975, and is one of Fo Guang Shan Temple’s oldest landmarks. It features 480 statues of Buddha which surround the forty meter-tall Great Buddha. The small statues portray the life of Buddha. Towering above the others, the Great Buddha was the tallest Buddha statue in Southeast Asia and is visible from several kilometers away. His right hand is raised up to indicate him giving light to the world, just asa lighthouse lights the sea. His left hand is in a gesture of welcome, and invites everyone to the Land of Peace. The Great Buddha is positioned on a lotus flower, which is also the entrance to the Great Buddha Land. Upon the walls are inscribed verses of scriptures for repentance and the teachings of Buddha, as well as thirty-five jade Buddhas. There are also many vivid and lifelike statues of various Buddhas and Vajra Dharma Protectors placed running alongside. The Buddhist Museum is in a U shape and is 2.65 hectares in size. The exterior is similar to that of the Thousand Buddha Grottoes in Dunhuang, China. Drawing from historical sources, the museum itself is made of a mixture of building materials that includes yellow stones, glutinous rice, black sugar, and quicklime. There are eighteen exhibition rooms in the museum, which preserves many statues, religious implements, and calligraphy from all over the world. The Buddha Memorial Center, also sometimes called the Fo Guang Shan Buddha Museum, is fifty meters in high and 13 hectares in size. The tower, which sits upon a large foundation, is an upside down version of typical lama pagodas. The exterior is a combination of a stupa and the Mahabodhi Temple of Bodhgaya in India. In terms of the material, the foundation is made of Chinese sandstone and the tower is made of Chinese granite. On each corner of the foundation stands a small pagoda decorated with relief carvings on its side. The pagodas each enshrine a different Buddha; namely the Avalokiteśvara Bodhisattva (Guanyin), the Manjushri Bodhisattva, the Kshitigarbha Bodhisattva, and the Samantabhadra Bodhisattva. In the back of the first floor is the Avalokitesvara Shrine, which has The Universal Gateway Of Guanyin Bodhisattva sutra carved on its circular wall. In the middle is a golden Buddha statue from Thailand. Finally, in the Jade Buddha Shrine is a white-jade statue of a Buddha in an reclining position. The statue is overlooked by colorful jade relief carvings on either side; one symbolizing the Land of Pure Crystals in the East and the other symbolzing the the Land of Peace in the West (both are considered to be paradise for the deceased). Carefully preserved above the statue of the reclining Buddha is a relic in the form of Buddha’s tooth—one of only three in the world. This holy relic was the original inspiration for the construction of the museum. In the upper-most storey of the museum is a sutra depository, which is home to a copy of the Heart Sutra written by thousands of people around the world. The four pagodas surrounding the museum (on each corner of the foundation) not only house the four main Buddhas (Avalokiteśvara Guanyin Bodhisattva of Mercy, the Manjushri Bodhisattva of Wisdom, Kshitigarbha Bodhisattva of Oaths, and Samantabhadra Bodhisattva of Practice), but also symbolizes the Four Noble Truths. There is a large pathway leading up to the Buddha Memorial Centerknown as the Way to Buddhahood. The pathway is made of stone, and measures240 meters long and 113 meters wide. On either side of the pathway is a hallway measuring 254 meters in length and made of black stone. The hallways are decorated with the names of donors and those who helped with the construction of the museum. Along the hallway on both sides are eight thirty-eight-meter-tall Chinese pagodas, each with seven storeys. They are named the One Teaching Pagoda, the Two Assemblies Pagoda, the Three Goodnesses Pagoda, the Four Givings Pagoda, the Five Harmonies Pagoda, the Six Perfections Pagoda, the Seven Admonishments Pagoda, and the Eightfold Path Pagoda. Each pagoda has a presentation room, a reception center, an exhibition, a library, and a venue for the faithful to conduct lessons, copy sutras, and hold weddings. Standing tall behind the Buddha Memorial Center is the most important landmark of Fo Guang Shang Temple—the Grand Buddha statue. This golden statue is fifty meters tall and is 108 meters tall including the base; equivalent to a thirty-six storey-building. The statue is made of 1,872 tons of bronze and is the tallest bronze sitting Buddha in the world. During the construction of the statue, one million worshipers were invited to write out the Heart Sutra to be preserved inside the statue. TheBig Buddha Terrace is on the third floor of the Buddha Memorial Center and is right beneath the Grand Buddha statue for visitors to have to clear view of the statue. Fo Guang Shan Temple is open 8:30 a.m. to 5:30 p.m., and the Buddha Memorial Center is open 9:00 a.m. to 7:00 p.m. on weekdays and stays open to 8:00 p.m. on weekends and holidays. For information on tours and special events, please call (07) 656-3033.